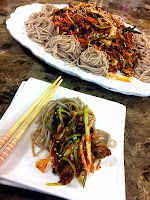 Home Appetizers	Golbaengi Muchim (Spicy Bai Top Shell Salad) Written Recipes! Golbaengi Muchim (Spicy Bai Top Shell Salad) Written Recipes! Click the link below to view on watch page! If you’ve been Korean bar in Korea, you probably saw at least one table has Golbaengi muchim. It is very popular in Korea, but because of the image of bai top shell – snail, not everyone loves it at first sight. If you having hard time to find bai top shell, or if it is too much to take, you can substitute with shrimp, lump crab meat, calamari or just omit and make a spicy vegetable salad! Combine first 9 ingredients in a small mixing bowl, whisk well and set aside. Combine cabbage and next 9 ingredients in a large mixing bowl, and st aside. Cook somen or soba noodles by following the directions of the package you using. Rinse in cold water, drain well. 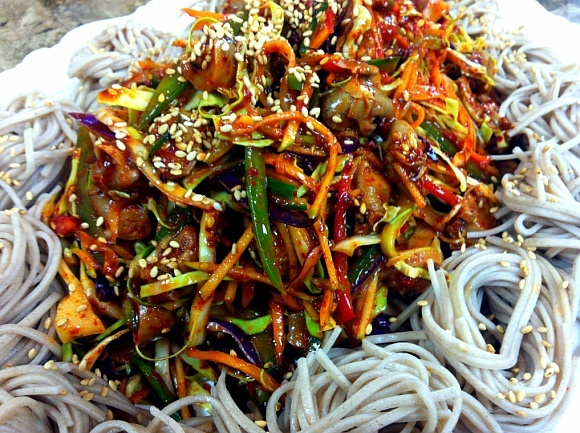 Pour sauce over vegetables and golbaengi and gently and evenly toss. Transfer to a serving plate and garnish with extra sesame seeds and sesame oil. 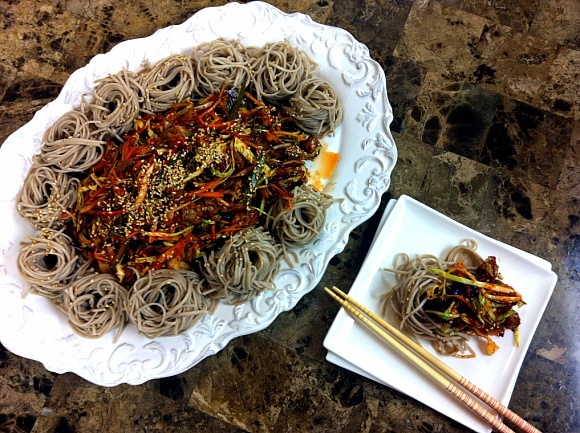 Serve with cold cooked somen or soba noodles and enjoy! 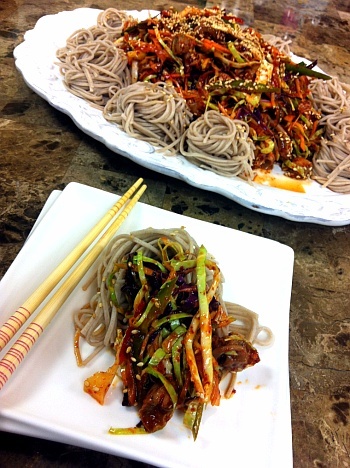 I hope you enjoy Golbaengi Muchim (Spicy bai top shell salad)!! Dressing itself is very delicious, so you can try only the dressing with other vegetables too! a more familiar name for baitop is whelk!